You are here: Home / Services / Substance Misuse Services / Is alcohol affecting your behaviour? Is alcohol affecting your behaviour? Drinking heavily can have a significant impact on the way we behave and can cause some people to behave in ways they later regret. This is because when we drink, our inhibitions are lowered – leading to a greater sense of confidence and poorer self-control. 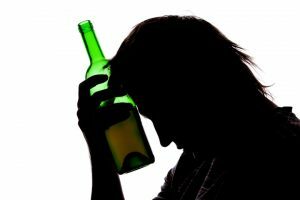 Drinking heavily can cause your perception of a situation to narrow, igniting fears or jealousies that might otherwise not emerge. The way we understand our surroundings is also affected when we’ve been drinking. 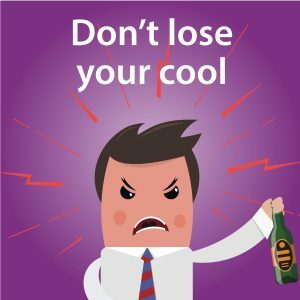 Drinking to excess increases your likelihood of being involved in a confrontation, as well as being a victim. If alcohol if affecting your relationship with your partner, it could be time to cut down. The link between alcohol and domestic abuse is complex. Although most people who drink alcohol are never violent, research suggests that drinking heavily can contribute to aggressive behaviour. In 2017, data from the National Crime Survey revealed that up to 40% of victims of violence believed the perpetrator to be under the influence of alcohol. Reports of domestic abuse tend to increase over the festive period. Many people who have experienced domestic abuse may also use alcohol to help them cope. Whatever your situation, no-one should experience abuse. If you’re experiencing domestic abuse or are worried about someone else, contact the National Domestic Violence Helpline for women on 0808 2000 247. Domestic abuse is a crime and can have long-lasting effects on a person’s wellbeing and physical and mental health. In Wakefield, support for victims affected by repeated domestic abuse is available through the Domestic Abuse Navigator (DAN) project, a partnership between Spectrum and Wakefield Council. For information, please email PR@spectrum-cic.nhs.uk or call the Wakefield Domestic Abuse Service on 0800 915 1561.